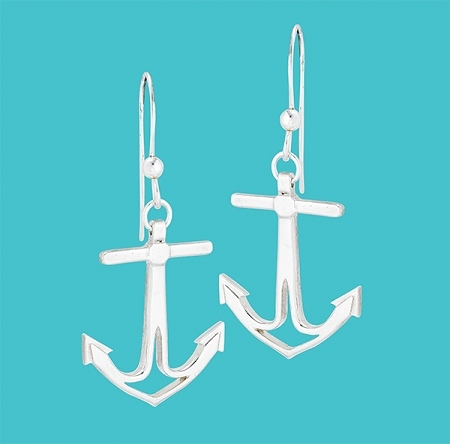 The solid silver anchors are 7/8" tall and 3/4" wide and hang from silver earwires (1-1/2" length overall). 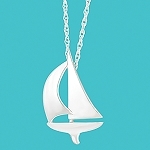 The Anchor earrings match our Anchor necklaces and bracelets. All silver is .925 sterling. The earrings come packaged in a presentation box.